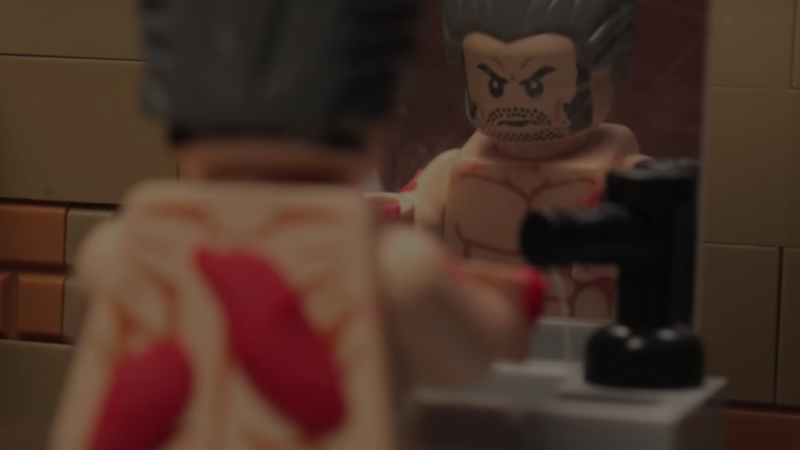 Someone—well, thebrickranger, specifically, did the now standard “Lego version of a superhero movie trailer” for Logan complete with red Play-Doh for Wolverine’s many wounds. However, I don’t remember the last time I’ve been quite so emotionally moved by tiny plastic mini-figures. Part of it is the trailer itself, which of course features an older Logan covered in wounds from his constant battles, and a Professor X who has lost most of his incredibly powerful mind. I mean, the also standard “superhero movie trailer recreated with old animated series footage” version nearly brought tears to my eyes. But I really suspect the real culprit here is Johnny Cash’s cover of Trent Reznor’s “Hurt,” which I think would make The Trolls trailer tragic and haunting. If someone wants to put that to the test, I won’t stop you.